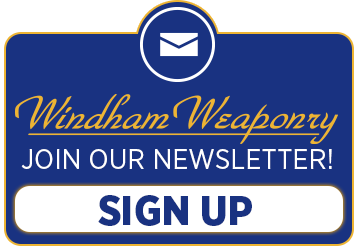 Below are Frequently Asked Questions relating to Windham Weaponry rifles, rifle functions, systems & parts, Magazines, Ammunition & Accessories, Maintenance & Repair. How does the leade in the bore affect accuracy and what’s the difference between a 5.56 and a .223 chamber? First, lets define “leade”… “That portion of a firearm’s barrel immediately in front of the chamber where the bullet travels prior to contacting the rifling”. The closer the ogive (another definition: an ogive is a pointed, curved surface mainly used to form the streamlined nose of a bullet or other projectile) of the bullet is to the start of rifling the more accurate the bullet is – theoretically. I.E. the smaller or “tighter” the leade, the greater the accuracy. So it depends on the load and which cartridge (.223 or 5.56) has the bullet seated out farther. I don’t think you will notice much difference in accuracy between .223 or 5.56 in a 5.56 chamber. The bullet depths will be similar, it’s just that 5.56 is higher pressure, and therefore not safe to fire in a .223 chamber which has a tighter leade. What is the average trigger pull of your rifles? Are they adjustable? Our standard triggers average around 7 pounds pull and our Varmint Exterminator models average around 5 pounds. These are non-adjustable, single stage triggers. Will the headspace be affected if I change out the upper receiver of my rifle? When installing a barrel on a new upper the headspace does not need to be set. Headspace won’t change with an upper swap as the headspace is already set between the bolt and barrel extension. Will my Diamondhead rear sight co-witness through my EOTech with the fixed front sight base on the rifle? The Diamondhead Rear Sight should co-witness fine through your EOTech with the factory fixed front sight base that is on the rifle. My gun shoots too high, what can I do about it? We use standard front sight bases and carry handles calibrated to index with standard front sight bases. All rear flip sights (to my knowledge) are calibrated to index with “F” marked front sight bases. Therefore when removing a carry handle to install a rear flip on one of our rifles with a full front sight base, a .040” taller front sight post is needed. Sometimes people ask if a carry handle will zero with a front flip sight on an SRC. Our carry handles don’t index well with a front flip sight. You can probably get the gun on target but the front sight post has to be pretty much bottomed out to do this. It works much better with a mil-spec carry handle that is .040” taller as all front flips are built to this slightly higher spec. Mil Spec carry handles are available from a number of sources – check on-line to find them. Our Carbon Fiber rifles are a little different in that the upper receiver rail is .040” taller than normal. So using a front and rear flip on those guns requires a taller front sight post in the front flip. However, with our standard carry handle and a front flip with a normal front sight post, they index just fine. Can I mount a large caliber upper receiver on my Windham Weaponry lower? Our receivers are the highest quality forged 7075 T6 aircraft aluminum and will have no problems handling the .50 Beowulf or the 6.5 Grendel. Will DPMS fire control parts work in your rifles? The DPMS AR parts should fit our rifles fine. How do I break in the barrel of my VEX rifle? Fire three shots, then clean your barrel. Fire five shots, then clean your barrel, and you’re done. What are the torque specs for the barrel nut and the flash hider? The barrel nut should be torqued between 31 and 80 foot pounds. The flash hider should be torqued between 15 and 20 foot pounds. How do you verify the indexing of your rifles? We laser boresight them at a range of about 25 yards. This tells us if the barrel is indexed properly or not. If the laser beam is outside of the front sight post, we know there is a problem and we correct it. If it is touching the front sight post, we know it’s okay to ship. Are your lower receivers low shelf? – or high shelf? What’s the difference? Our lower receivers are low shelf. The low shelf lowers are better suited to using a drop in auto sear (NFA rules apply of course). High shelf lowers have to be milled down to use a drop in auto sear. Do you use M16 or AR15 carriers? We use M16 carriers in every gun we sell except the guns that go to the ban compliant states. The ones that go to the compliant states are AR style carriers. The only difference is the length of the tail end of the carrier. The AR style carriers are cut back farther. In an M16 rifle it is this tail section that trips the auto sear. Can I use a bolt carrier group from another company in my WWI rifle / upper? Any mil spec bolt carrier group will work in our rifles but if you are using a different company’s bolt we recommend having the headspace checked. We check the headspace on all of our barrels and bolts 100% but we can’t guarantee how other company’s bolts are going to fit. Have the headspace checked to be safe. Is it possible for my rifle to fire out of battery? No, it is not possible for the rifle to fire unless the bolt is fully closed and the bolt locking lugs are locked into the barrel extension. If the bolt is retracted at all in the carrier, the firing pin cannot reach the primer. But – as always – if you are going to pull the trigger, make sure the gun is pointed safely downrange. How is your barrel steel tested? The AMS 2301 Magnetic Particle Test is performed on 6 samples from each heat of 80,000#. Individual hot roll bars are tested with a Magnetic Flux Leakage Test, and the turned/polished bars are Eddy Current Tested with a Circograph. Why are there marks on my brass deflector? We test fire all of our rifles and uppers for function before they leave here. The marks you see are from the test ammo hitting the brass deflector. Ejection paths can vary a little bit so on some guns you will get more marks than on others. We have found that the Tactical Advantage (Part # CLEANER-TACADV) we sell seems to do a decent job removing brass marks. They can also be scrubbed off gently with oil and gray Scotchbrite. Another suggestion is to put a small square of Velcro on the brass deflector to protect it. If you want to remove the Velcro, any glue residue can be removed with gun solvent, and the brass deflector should look untouched. What kind of optics are on the CDI rifle on your website? The optic on our gun in the website picture is an EoTech EXPS2 with a 4 power magnifier. The magnifier can be swung out of the way and the sights can be co-witnessed with the iron sights. This is a great tactical set up. If you are shooting around 25 yards or less, the magnifier is not really necessary. The sight is very quick and easy to see and is adjustable for different light conditions. I saw a video on line of one of your rifles and they were saying the trigger pull got heavier as the gun got hotter. Is this true? We get a lot of inquiries regarding that video. The first rifle we sent, he reported that the trigger pull was something like 20 lbs. after the gun got hot. I had him send that rifle back to me so I could do my own test on it. I weighed the trigger pull with a Lyman trigger pull gage cold and it averaged about 7 lbs. I then dumped about 150 rounds or so through the gun as fast as I could pull the trigger and got it smoking hot. Weighed the trigger pull again. It was still averaging 7 lbs. Since this test, we’ve had one other customer claim the same thing. I did the same test as I did on the first gun and got the same results. Personally I think it’s trigger fatigue and completely in the imagination of the reviewer, although this is disputed. Until I can make the trigger pull get heavier in my own tests I’m going to continue to believe it’s not possible for the trigger pull to get heavier as the gun gets hotter. And I’ve got ARs so hot in tests that the handguards were melting off. If someone can prove me wrong I welcome it, but I just don’t know how it’s physically possible, and it just doesn’t make any sense to me. Is it normal for AR15s to has some ‘wobble” or looseness between the Upper and Lower Receivers? This “play” is normal – some have more than others – some have almost none. There are plus and minus allowable tolerances between the two. These allowances have to be made so that all uppers will fit on all lowers which is required in a mass production scenario. If they were custom built guns, they could be individually custom fitted to minimize that play. If you feel that the play is too excessive I can probably find an upper lower match that is better. Sometimes all that needs to be changed is the upper receiver but sometimes the lower has to be changed as well. This can be a problem for people in state which require AR15s to be registered. Another simple option is an Accuwedge (available through Brownells) which is a little rubber wedge placed behind the rear takedown pin. This is very effective at tightening the fit between the upper and lower receiver. What are the features of the Windham Weaponry VEX-SS that differentiate it from other models? BARREL: The VEX-SS has a matte finished, fluted, stainless steel barrel – hardness is Rc 26-32. The matte finish cuts game spooking reflection, and the fluting reduces weight. All other models have barrels turned from 4150 Chrome Moly Vanadium Steel: MIL-B-11595; Q&T 286 / 327 BHN; Strain & Stress Relieved. MP (Magnetic Particle) tested. Bores on chrome moly vanadium barrels are chrome lined – the stainless barrel is not. CHAMBER: The Chamber on the stainless varmint gun has what is called a 5.56 Compass Lake chamber with a bolt matched to the chamber for match grade headspace. The leade (that portion of a firearm’s barrel immediately in front of the chamber where the bullet travels prior to contacting the rifling) in this chamber is somewhere between .223 and 5.56 NATO – not as tight as .223 but a bit tighter than the NATO spec. We recommend Match Grade .223 ammo for best results with the Stainless Steel Barrel. TRIGGER: The Trigger Group is a standard mil. spec. single stage trigger that has been stone deburred, and we use a slightly lighter hammer spring. It is single stage but has a smooth 5 pound pull. Various accessory two stage triggers can be installed. ACCURACY: Range testing so far has shown 100 yard groups of one inch or under with the following ammo: Hornady V-max 55gr, Hornady 75gr BTHP, and Federal Gold Medal Match 69gr BTHP. Good quality optics were also used to achieve the small groups with the VEX – in this case a Leupold VX-3 4.5-14 x 40mm. BUTTSTOCK: The VEX-SS is supplied with a “Skeleton Stock” which provides light weight and a comfortable cheek weld. A Tele stock or other aftermarket buttstock can be installed if the owner so chooses. SIGHTS: None are provided as we expect the typical varmint hunter would want to mount a scope of some kind. Two 1/2” high optics riser blocks are supplied to facilitate scope mounting. PISTOL GRIP: The VEX-SS features a very comfortable Hogue Rubber Pistol Grip. Is the only difference between the MPC and the SRC the Carry Handle and Sights? Yes, the differences between the MPC and the SRC are the carry handle and the sights. The SRC was created as a “sight ready” model for shooters who would want to add their own accessory sights, optics or scope. Therefore, on the SRC the gas block has a section of Picatinny rail for adding aftermarket sights, while the MPC has the full, standard A2 front sight base. How does the VEX rifle compare to a Rock River rifle? I can’t really do a side by side comparison because I can’t seem to find information on the Rock River site about the gun you are looking at. Bolts: Matched to the Barrel – Machined from Carpenter 158 Steel. Bolt Carriers: properly staked and chrome lined. Stock: ACE Skeleton Stock Stainless Steel Barrel: 416 R Stainless 1-8 twist for stabilizing heavier bullets. Chamber: Compass Lake Spec Competition Chamber. Recommended for use with .223 ammo but 5.56 can also be fired safely. The trigger on the VEX is a standard military trigger that has been smoothed up with a slightly lighter hammer spring for a lighter pull. The pull averages 4.5 / 5.5 lbs. As the Lower is mil-spec, any trigger upgrade will work in the VEX. Can I remove the Flash Hider on my rifle? As long as it’s a flash hider and not a welded-on muzzle brake, the Flash Hider can be removed a 5/8” open end wrench or a barrel wrench. Be sure the barrel is firmly clamped in a vise – we recommend the use of aluminum vise blocks or an upper receiver action clamp to avoid marring the barrel. For the ban compliant States: NY, NJ, CT, MA and MD, our rifles have welded-on brakes (pinned on with a steel pin that is then welded over and smoothed before final finishing), shaved bayonet lugs and non collapsible stocks. As long as it doesn’t have these features the flash hider will come right off. Note: We are now offering 14.5” barrels for the commercial market that have welded on flash hiders to achieve an overall legal 16” length. Attempting to remove one of these pinned on / welded over flash hiders will likely ruin the barrel. Can I adjust the length of my permanent telestock? The permanent telestock – as found on compliant models sold in the States of NY, NJ, CT, MA and MD, is not adjustable. This is a requirement of the regulations in those States. The buffer tube is specially made for that stock (i.e. it is not simply a telestock that has been permanently extended). The length of pull is about ½ inch shorter than a standard, fully extended telestock. We did have a customer recently that bought one of our normal telestocks and had it converted into a fixed stock. You can take a normal telestock and adjust it to the length you want, and have it drilled and have two roll pins inserted in a way in which they cannot be removed. This customer took the stock to his gunsmith to have this done. Are your front sight bases standard, or “F” marked? We use standard front sight bases on all of our rifles. If you use a carry handle designed for an “F” marked front sight base it requires a +.040“ taller front sight post (which we also sell – Part # 9349056-MOD). Most rear flip sights that are offered also require a +.040” front sight post. Can I remove the flash hider on my rifle? Are the threads right or left handed? Make sure it is a flash hider and not a muzzle brake with a closed end. We make those for ban compliant states (MA, NJ, NY,MD). Those models have no bayonet lug, and the muzzle brake is welded on – making it impossible to remove without damaging the barrel. If it is a regular A2 flash hider, it is removable and it has normal right hand threads (1/2” x 28 T.P.I. ), so turn counter clockwise to remove. Do you use AR15 or M16 firing pins? What is the difference? We use M16 firing pins exclusively. The diameter of the shoulder of an M16 firing pin is larger than the shoulder of an AR15 firing pin. The AR15 firing pins were designed for use on older style AR15 carriers that had an un-shrouded firing pin. All of our carriers have a shrouded firing pin, both on our AR15 carriers and our M16 carriers. You can use either AR15 or M16 firing pins in our carriers. My permanent tele stock is too long. Can it be made shorter? There’s really no easy way to modify one of our fixed teles to be shorter. Our fixed teles aren’t made from stock tele receiver extension tubes that have been modified but rather, are longer and made specifically for the fixed style tele stocks. If you tried to modify the fixed tele stock, its possible you could permanently damage it. One way to accomplish what you want to do is to buy a standard tele stock and then position it where you want it, then roll pin it in place. Another option would be to replace it with a CAR version of the skeleton stock (see our website: Part # STK-SKELKIT-CAR) or “stubby” standard stock (you can find them on-line from various sources). How do I remove a tele stock and install an A2 stock? Can I use the same buffer and spring? Below I have attached instructions on removal of a tele stock and installation of an A2 standard stock. The rifle length buffer and spring must be used on the standard stock. The carbine length buffer and spring are too short for the longer tube of the standard stock assembly. The buffer and spring are what the bolt carrier contacts when the rifle is fired or charged. Once the bolt carriers rearward motion stops, the spring and buffer push the carrier back forward into battery. First check to make sure weapon is unloaded! Remove lower from upper receiver by pushing out the takedown and pivot pins. With a lower receiver magwell vise block in a vise, put the lower receiver on the vise block. With the hammer in the cocked position, remove the buffer and spring by pushing the buffer detent down and pulling them out of the buffer tube. Using a properly fitting telestock wrench, loosen the stock castle nut and turn it back far enough so the endplate can be pulled back to reveal the takedown pin spring. Remove the takedown pin spring. While holding the buffer retainer down with a finger or thumb, unscrew the stock until the buffer retainer is freed. The buffer retainer is under spring tension so be careful not to let it shoot out of the hole when you unscrew the stock. Unscrew the tele stock the rest of the way. Also be aware that there is a detent in the hole where the takedown spring is inserted. Be mindful not to lose this detent as it can fall out of the hole if the receiver is held upright. If you keep it in the vise to perform the next procedure you will not lose the takedown detent. retainer and held in place. Why does my gun have an AR15 carrier in it? It is legal in my state to have an M16 carrier. Doesn’t the added weight of the M16 carrier make it more reliable and is easier on the gun? We had a meeting a while back discussing this issue. It was decided then that all “ban compliant” states would get AR15 carriers. Some states have restrictions and some states don’t, but the law was not always black and white. 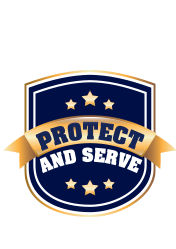 To be on the safe side our company policy is to ship ALL “ban-compliant” rifles with AR15 carriers. Personally I’ve never seen a real world advantage to an M16 carrier in a semi-auto anyway. Our AR15 carrier is 11.28 oz. Our M16 carrier is 11.60 oz. In other words it’s a whopping .32 ounce heavier. Any mechanical advantage to this in a semi auto AR15 is more imagined than real to the average shooter. The real benefit of the M16 carrier is with the manufacturers. It’s easier to manufacture carriers this way as there is one less machining process. All carriers start out as M16 carriers and the small extra bit of metal at the tail then has to be machined off. If someone wants more weight in the operating system for whatever reason (Really only a benefit if you are using a sound suppressor) it’s pretty simple to go to a heavier buffer such as the 1H, 2H or 3H. Below is the warning insert we supply with our M16 carrier when sold retail. Following that is another statement regarding our company policy on this issue. However, utilizing an M16 bolt carrier in combination with other military-style firing components in an AR 15 rifle may enable the rifle to fire automatically. If a semiautomatic weapon is modified in any way (including the installation of military M16 component parts) which allows it to fire automatically, it becomes a “machinegun” as defined above, and its creation, sale, or possession by an unlicensed individual would be unlawful. Further rules and regulations may apply in some states. Please contact your local authority for further information. According to Federal Law, the BATFE states “It is not unlawful to utilize a M16 machinegun bolt carrier in a semiautomatic AR15 type rifle.” As a result, WW has chosen to use M16 bolt carriers in many of its AR15 type rifles, except in the states that have specific laws with higher restrictions. These “Compliant” states include New York, New Jersey, Connecticut, Massachusetts, and California. Our policy for retail sale of M16 Bolt Carriers will be allowed in all states except these “Compliant” states. No retail sales of the M16 bolt carrier will be allowed in NY, NJ, CT, MA and CA. Can I interchange Uppers and Lowers between Windham Weaponry Carbon Fiber and Aluminum guns? Our Carbon Fiber rifles are a slightly different spec than the mil-spec aluminum rifles. It was decided during development that we would not pursue interchangeability between the platforms. Trying to force an aluminum Upper onto a Carbon Fiber – or vice versa – will cause damage and void your warranty. What kind of ammo do you use in your testing? And, what kind of ammo delivers decent accuracy? We use Federal American Eagle .223 55 gr. FMJ with good results for testing. This is not match grade ammo, but is priced well and we’ve shot some decent groups with it. For really good groups try Hornady V-Max 55 gr., or any of the variety of match grade ammo available. It may require some testing with various ammunition to determine which brand will help your rifle perform best. Is it safe to shoot 5.56 NATO ammo in my VEX? Your Varmint Exterminator is safe with decent factory loaded 5.56 NATO ammo. We put .223 on the barrel as that is what is recommended for best results, match grade .223 ammunition. The VEX has what is called a “5.56 Compass Lake” chamber. This means the leade (amount of freebore before rifling) is shorter than on a 5.56 but not as short as .223. Also the angle into the rifling is a little different. The overall chamber dimensions are slightly tighter as well and the bolt is matched to the chamber for better accuracy. Frank White of Compass Lake Engineering developed the chamber many years ago and is also the same chamber that was used in the Bushmaster DCM competition rifles and the Predator rifles. I have fired Federal M855 5.56 NATO ammo in VEX rifles with no ill effects. If you should fire any foreign 5.56 ammo through it just keep check of the primers and make sure they aren’t backing out or popping. Some of the foreign stuff can run a little hot. Can I break my VEX in with moly coated bullets? I have not tried any moly coated bullets. From what I gather from searching around on-line it’s best to break the barrel in with normal copper jacketed bullets first. Also moly coating can cake in the rifling after a while if the gun is not properly cleaned. So it is important to make sure the bore is cleaned after each range session. What’s the difference between 5.56 NATO and .223 Remington ammo? The basic difference is that 5.56 NATO ammo tends to be hotter than .223 Remington. The leade dimension (freebore before the start of rifling) is longer on a 5.56 chamber, on a .223 chamber it is tighter. Therefore the .223 chamber can develop excessive pressure when a 5.56 NATO round is fired in it. Our chambers are all safe to fire 5.56 NATO or .223 Remington ammunition in. All our guns have chrome lined chambers with the exception of the VEX rifles which have a stainless steel fluted barrel. These are also marked .223 rather than 5.56. We do this primarily because the chamber is a little tighter and better suited to match grade .223 ammo. While the chamber is tighter than 5.56 in the VEX, the leade is still longer than .223 Remington. We have tested these rifles with 5.56 ammo as well and they are perfectly safe with that ammo too. Can I shoot steel cased ammo in my Windham Weaponry Rifle? Can you recommend a “universal” Front Sight Adjustment Tool? The tool we sell on our website (Part # SIGHTTOOL-A1-A2 – $6.95) – works with both “5 notch” A1 and “4 notch” A2 Front Sight Posts as well as the flip-up sights with taller “ears” on either side of the sight post. The sight tool we currently offer will adjust all the flip sights we sell, and it’s probably tall enough to adjust any front sight on the market. Will a polymer front sight melt during rapid fire on my SRC? We did a test simulating full auto fire (using a Slide Fire buttstock) and after 8 magazines (240 rounds) the front sight did indeed melt. But at this point, the barrel was so hot that the handguards were also starting to melt at the handguard cap (which is why they make specific handguards for full auto M16s). Wetook it to 8 mags as it didn’t appear to be melting before this. But as it sat, it melted more so it would probably melt before this point. So with this discovery, we definitely cannot recommend the polymer sights with extreme machine gun or simulated machine gun rates of fire. with the front gas block rail. What kind of handguards will fit on my rifle? the handguards on a table edge. They will separate and then can be removed. What kind of scope mounts do I need to attach a scope to my rifle? The scope did not come with mounts. Most scopes do not come with the hardware for mounting, therefore you have to buy the mounts separately. Any mounts that specify they are for mounting to a Picatinny rail or “Mil-STD-1913” will work on our rifles. Will ARMS 71 sights work on my SRC rifle, and can I co-witness through a holographic sight? The ARMS 71s will work fine on the SRC, and you will be able to co-witness with your holographic sight. What kind of railed handguard do you recommend? There are many different aftermarket options for Picatinny rail handguards. My recommendation for easiest installation is a two piece aluminum handguard with Picatinny rails. These are very easy to install by the end user and require no special tools – we carry them on our website. See the models from Magpul, Mission First Tactical and Diamondhead. This will allow you to install any of the various forend pistol grips on the market that mount to a Picatinny rail. Can I use Hoppes No. 9 Bore Cleaner to clean the bore of my rifle? When using Hoppes #9 be sure all of it is cleaned out of the bore before putting the gun away. Hoppes will deteriorate the chrome lining in a Windham Weaponry barrel if allowed to remain in the bore for too long. No more than 10 or 15 minutes is recommended. Any copper solvent will harm chrome if it’s left in the barrel too long. Just make sure it’s all cleaned out and it will be fine. How do I clean the rifle’s gas tube? Cleaning the gas tube is something you really needn’t worry about. For example, our factory endurance gun has over 8,000 rounds through it (without a single malfunction!) and we’re using the same gas tube in it since round number one. It has never been cleaned. They should be replaced after a while but you can put thousands of rounds through one before this is necessary and the barrel might be worn out by the time the gas tube needs replacement anyway. The only things that have been cleaned on that gun in its endurance run are the bolt carrier once after 5000 rounds, and the barrel every 1000 rounds before targeting. We expect the gas tube to easily last as long as the barrel.